The topic of good fences and good neighbors arose earlier this week with a timely reminder that Wednesday, Sept. 28, was National Good Neighbor Day — declared by Congress to be an actual national holiday, although without the added benefit of a day off from work. One of the highlights of National Good Neighbor Day was the release of a nationwide survey by the nonprofit Community Associations Institute, which asked its 34,000 members what it means to be a good neighbor. The most popular responses: Being quiet, being friendly, respecting your neighbor’s privacy, and cleaning up after your pet. Eighty-three percent of survey respondents said face-to-face interactions are the most common way they communicate with their neighbors. A dog can be a big help with that: An identical 83 percent majority said they get to know their neighbors while walking their dog. An overwhelming 99 percent of respondents said they consider themselves a good neighbor, and 86 percent said they are proud to live in their neighborhood and actively recommend it to their friends and colleagues. The survey’s recognition of the importance of respecting your neighbor’s privacy brings this discussion back to fences — and the trouble they can sometime cause. 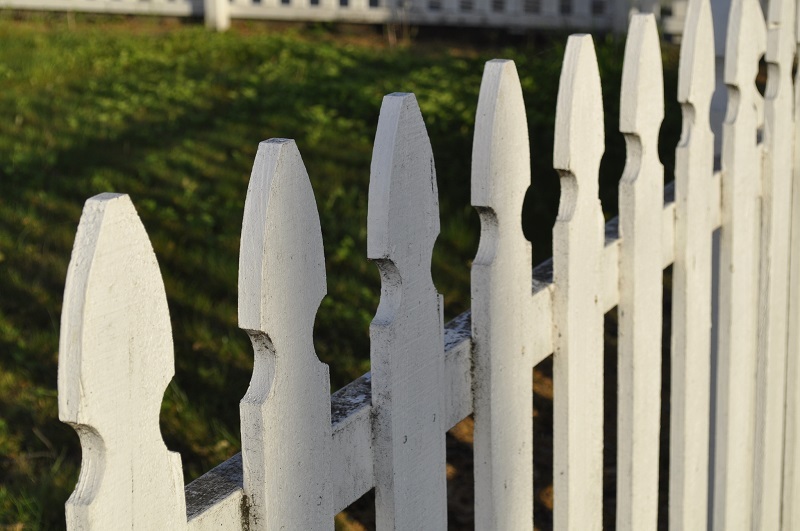 For many decades, California law declared that when a common fence divides two properties, both owners were equally responsible for it. If you paid to put up a fence, your neighbor was obligated to reimburse you for one half of the “reasonable cost” of the fence. Then, in 2013, the state legislature passed the “Good Neighbor Fence Act,” which allowed exceptions to the fifty-fifty rule if the fence was particularly expensive and established a formal, legal process for erecting the fence. For all of its good intentions, however, failure to adhere to the letter of the new law could jeopardize your chance to recover your share of the fence’s cost. For a no-nonsense explanation of the law, take a look at the website of Berkeley-based Nolo, publisher of a variety of do-it-yourself legal books and software. The site has a page devoted to California laws on property disputes between neighbors, including tree damage, farming rights, and boundary fences. For more advice, visit Nolo’s neighborhood law page.